This sporty Orvis shirt comes with the Nomadic Expeditions logo and may also be custom embroidered with virtually anything you wish - your own custom quote, slogan, nickname, trip destination, or monogram (up to 25 characters), offering you a fun way to talk about and commemorate your Nomadic Expedition. In creating a personal "one of a kind item", we thank you for understanding that the purchase of your embroidered item is considered final and may not be returned for a refund. We invite you to please call us to discuss sizing details toll free at 1 888 924 2050 (+203 924 2050 outside North America). Please allow 3 weeks for delivery of embroidered items. 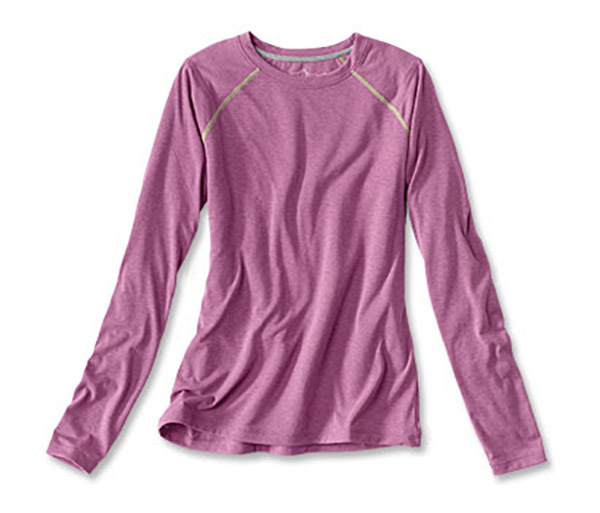 Soft, lightweight drirelease® tee wicks moisture from your skin to the surface of the fabric where it evaporates quickly to keep you dry and cool, even on hot, humid days. With a dry-time four times faster than cotton, no other blend feels this good in the heat and layers like a champ in cooler weather. Wherever your adventure takes you, drirelease keeps you more comfortable. All-natural Freshguard® odor protection keeps you smelling sweet even if you wear it more than once before washing—perfect for travel. 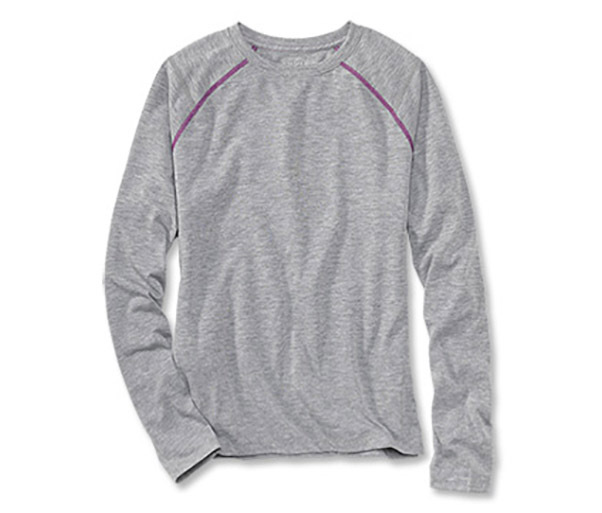 Raglan sleeves with contrast stitching allow for complete freedom of movement. Classic Fit, universally flattering with moderate shaping. Polyester/cotton. Washable. Imported.